The last two parts of my 40k Fight Club 2013 Hobby Challenge are built and ready for priming, Belial and a Deathwing Command Squad. I was originally only going to build two Deathwing kits for the challenge, but the new kit was so great that I picked up a third one and used it to build a Command Squad. This completes my Challenge project for the month. My total kits built for the month is six, which doubles the required number of three required for the challenge. I still have a bonus project of painting my first Dark Angel Tactical Squad. I have made good progress so far. Pictures to come soon. The next two kits that I am building for the 40k Fight Club 2013 Hobby Challenge are built and ready for priming, a Nephilim Fighter and a Dark Talon. There are a few pieces that are not glued together, like the pilots and canopies, to make it easier to paint later on. These kits are very good and the model assemble easily enough. I know a lot of people are down on the rules for both models, but I still like them and cannot wait to try them out. This first two parts of my 40k Fight Club 2013 Hobby Challenge are built and ready for priming. First, a unit of Deathwing Knights. Second, a Deathwing squad with Plasma Cannon. 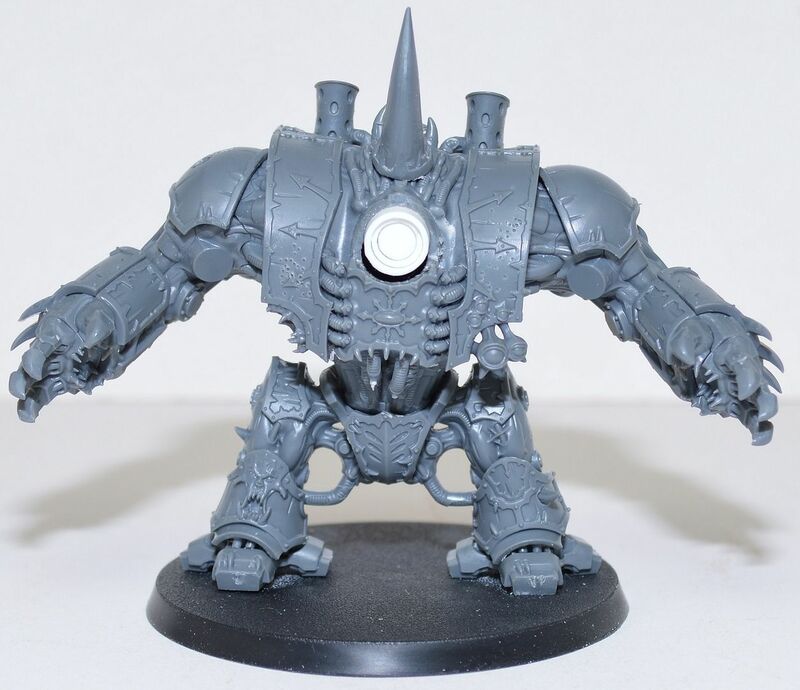 The new Deathwing Terminator kit is just awesome. The Termies are covered in DA icons and symbology, and there are a lot of extra pieces that I will use at some point to update some of my older plastic Terminator models. I have ten Terminators with Thunder Hammer and Storm shield that I plan to replace the Storm Shields with the new leftover ones from the Deathwing kit. Although, with the introduction of Deathwing Knights, is there a use for Deathwing Termies with Thunderhammer and Storm Shield? I am not so sure, but they will look cool. 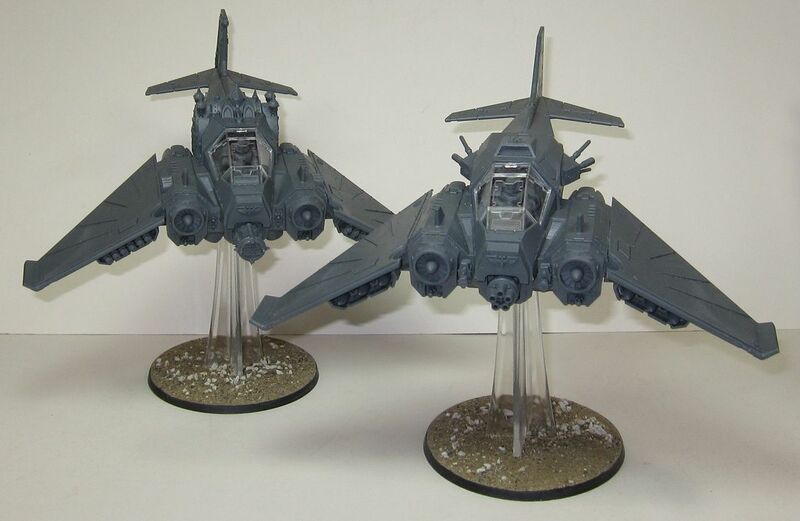 I have pretty much gotten my all my new Dark Angel kits built, and there is still a week and a half left in the month. So I thought I would start painting my Dark Angels. 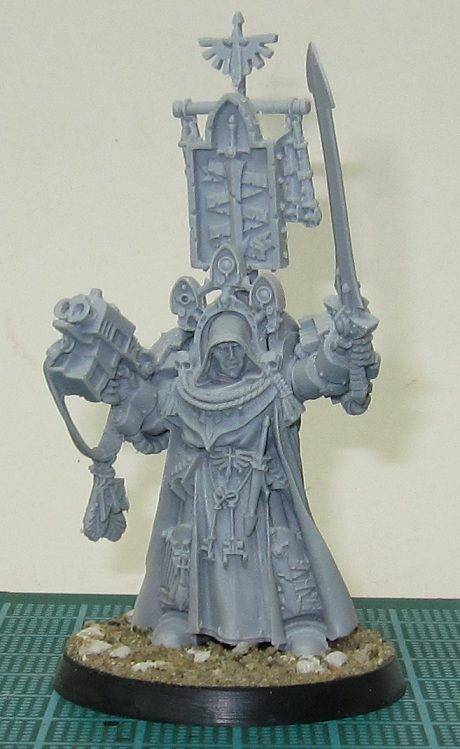 As a bonus project for the 40k Fight Club 2013 Hobby Challenge, I am going to paint a Dark Angels Tactical Squad. I am going to try the Dark Angel paint recipe that is detailed in the January 2013 issue of White Dwarf. My FLGS, Pandemonium in Southeastern Michigan, is having a big Warhammer 40,000 event this upcoming Saturday, January 19th. It will be fourteen hours of gaming, pizza, and prizes. The big prizes are a Battlefoam Custom Load Out 720 Bag and a Battlefoam 720 Bag (empty). There will be other prizes as well. Full details can be found here. I went to a similar event back in July of last year and it was a lot of fun. If you are not too far away, try to make it out! It will be worth the trip. 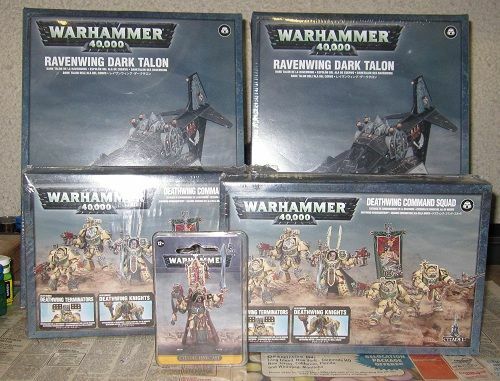 I have already been to my FLGS this morning to pick up the new Dark Angel Codex as well as a couple of the new kits: Belial, two Deathwing Terminator sets, and two Dark Talon kits. I am going to make all these kits my 40k Fight Club 2013 Hobby Challenge projects for this month. According to the rules, I only need to build three kits, I should have no problem getting all these built by the end of the month. Besdies, I am really anxious to take the new codex out for a spin. I am making sure to document all my paint recipes and this one is for painting my Cadian 8th Imperial Guard army. I need to post it before I lose it. This recipe predates the new GW paint line, so I will most likely need to update it at some point when I get back to painting them. As I mentioned in yesterday's post, I am really excited about the new Dark Angel codex that is due out this Saturday. Dark Angels have always been my favorite Space Marine Chapter. I just love everything about them; their monastic look and feel, their dark secret and history, their pursuit for redemption and the Hunt for the Fallen, and the Deathwing & Ravenwing (they are three armies in one). Dark Angels was the first army I ever played, way back in the Rogue Trader era, but I haven't played them since 2nd edition. The color scheme change from black to dark green really annoyed me at the time. I eventually sold off most of that army, but I kept a few models. I have been wanting to rebuild the army for a couple of years now, and I have even worked on it every now and then. With the new codex, it is finally time to build it and boy am I glad that I waited. I am really looking forward to all the new DA kits. I feel like they have captured the true essence of the chapter. The Dark Talon/Nephilim Fighter is just awesome and the Deathwing finally get their own, long overdue, plastic Terminator kit. I am even looking forward to the Land Speeder Vengeance. It has grown on me now that I have seen more pictures of it in this month's White Dwarf. I think they could have done better on Belial, he looks like he needs to go to the bathroom. I currently have two full sets of Dark Angels from the Dark Vengeance box set that are assembled and ready for priming. I have a fair amount of other stuff, but I need to take inventory. I plan on being able to field not just a Dark Angel army, but Deathwing and Ravenwing armies as well. There are only three days to go! 2012 is gone and it was a pretty lackluster hobby year for me. I only played a handful of games and only completed eight projects for the year. In retrospect, it seems like I was unfocused and just spent the year drifting between projects with no real desire to accomplish anything. This has become aparent to me while looking back through my posts for the year. My total post count for the year is 30, down from 83 in 2011 and 104 in 2010. Looking forwards into 2013, I feel more positive. I think a lot of this has to do with the release of the new Dark Angels codex and all the new DA kits in less than a week now. Dark Angels will pretty much dominate my hobby time for the foreseeable future, but more on that later. The 40k Fight Club is hosting another annual Hobby Challenge this year, which now includes rules for building units instead of just painting them. I will be participating. I am going to try to focus on playing more 40k and WHFB games this year, and being more active in my local hobby club. 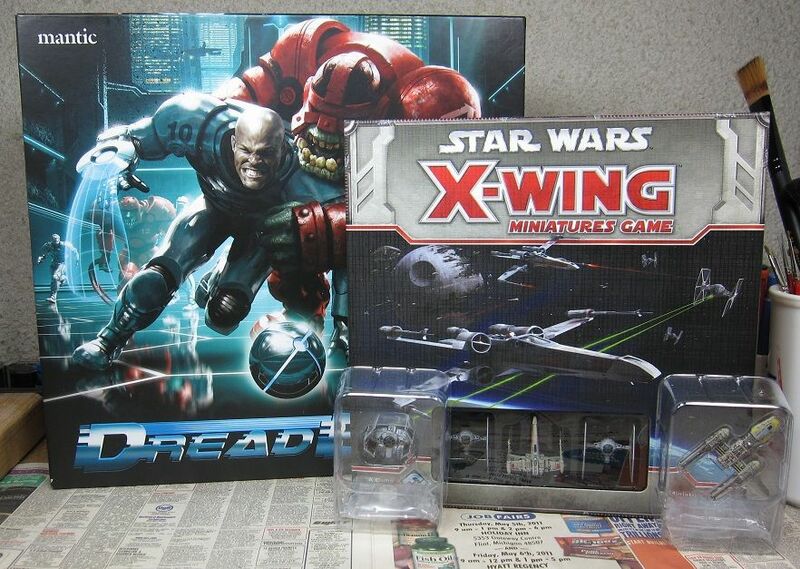 I am also looking forward to playing some new games this year, like Dreadball, X-Wing and Dreadfleet, and well as breaking out some older games, like Talisman and Space Hulk. One thing I am not looking forward to this year is cleaning up my Warhammer collection. I have been playing Warhammer (both 40k and WHFB) on and off for twenty-five years and I have built up quite an extensive collection; all in various stages of assembly and painting. I think the size of my collection is starting to weigh on me and that was one of my biggest problems in 2012. With Dark Angels coming out, my collection is only going to get bigger, so it is probably time to 'thin the herd' as some might say. Here is to a great 2013! Over the Holidays, I got some kits built that I have been wanting to build. I built 10 Raptors for my Blightlord CSM army. It is mainly an anti-Infantry squad with two flamers and a Champion with a Power Sword. I have contemplated picking up another Raptor kit and building a second Champion with Power Fist and two Raptors with Meltaguns. This would give me the option of running it as an anti-Tank squad. The new Raptor kit is a very nice kit with lots of extras. My Chaos Daemon army focuses heavily on Nurgle Daemons and I have been wanting to branch out to some of the other gods, so I built twenty Bloodletters and ten Pink Horrors. These are all ready to be primed and painted. I am finally getting around to catching up on my blog posts. First up, my Christmas Loot. I got two new games that I have been really looking forward to. I am a big fan of Blood Bowl, so when I saw that Dreadball was coming out, I just had to check it out. If you are not familiar with it, it is basically a Sci-Fi version of Blood Bowl. I have already read through the rules and I am looking forward to playing. I just need to get my teams put together first. The age limit on Dreadball is 7+, so it is a game that I am looking forward to playing with my 9 year old son. X-Wing is a game I have not played yet, but I have heard nothing but good things about it. It looks like a game I would enjoy. The last space fighter game I enjoyed playing was Renegade Legion: Interceptor, and this looks to be better than that. Plus, this is the first miniatures game I have gotten into where there is no assembly or painting required. Happy New Year from the War Room! I just wanted to wish everyone a Happy New Year! May 2013 bring plenty of happiness, joy and gaming to you and your loved ones.